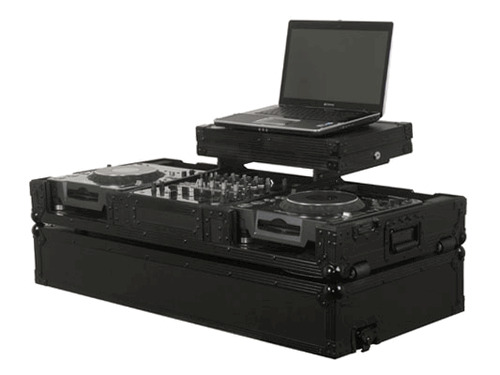 Odyssey FZGSX10CDJWBL Black Label GSX Glide Style DJ Coffin DJParts - All Variety of Parts that DJ Needs. 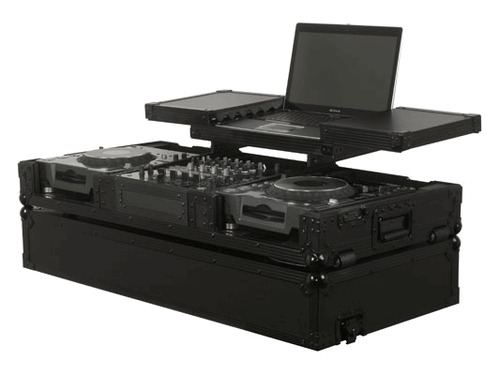 Odyssey Introduces the GSX Glide Style Series beginning with large format CD player DJ Consoles. The GSX Glide Style features the ability to safely store your laptop inside the actual laptop platform that sits right above the mixer compartment. To access the compartment, the top section slides open left and right and includes key locks for security allowing the DJ to take a break from the booth without having to worry about theft. Just another innovative design to the Glide Style case family.